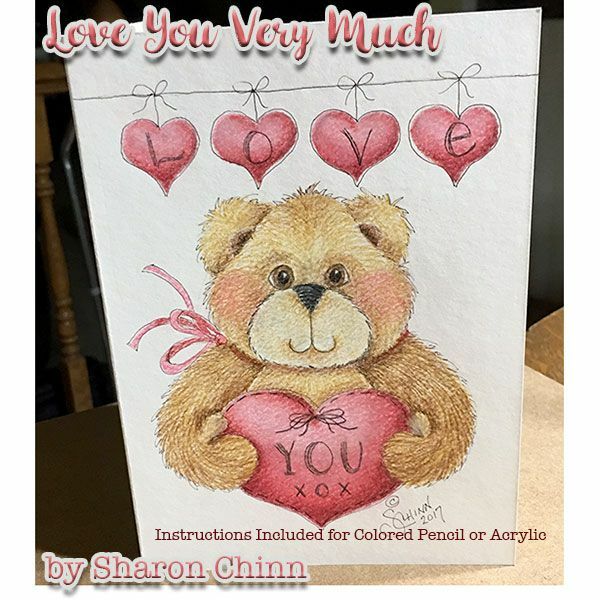 Teddy bear and heart garland on a 5"x7" or 8"x10" surface (2 size drawings included). Instructions for Prismacolor Pencils with alternate instructions for DecoArt Americana Acrylics. Pattern is 13 pages and includes lots of step-by-step illustrations, instructions, and 2 size drawings.